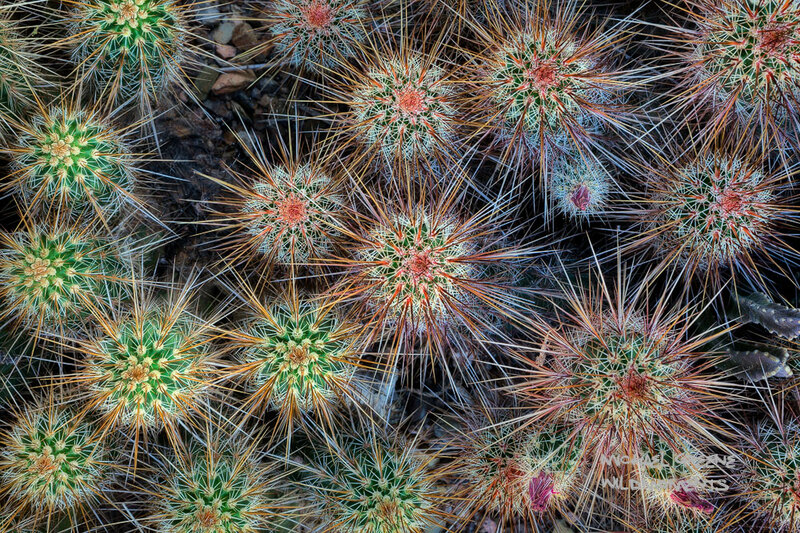 A closeup view of the Engelmann's Hedgehog cactus at the Desert Botanical Gardens. The Desert Botanical Gardens is located in East Phoenix near Tempe and Scottsdale, Arizona. These cacti are found in the Southwest US as well as Northwestern Mexico. Photo © copyright by Michael Greene.